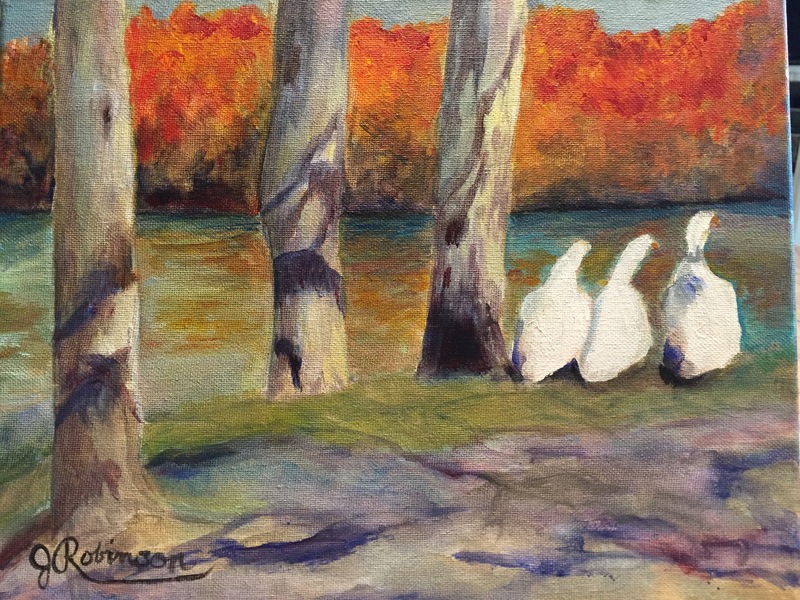 I painted this from a picture I took of geese by the Guadalupe. They were scattered but I decided I liked them in a row like the trees. Power of the painter.